No contract? No problem. A new petition from Change.org, #NoKaepernickNoNFL, asks fans to boycott the NFL if Colin Kaepernick doesn’t play this season. 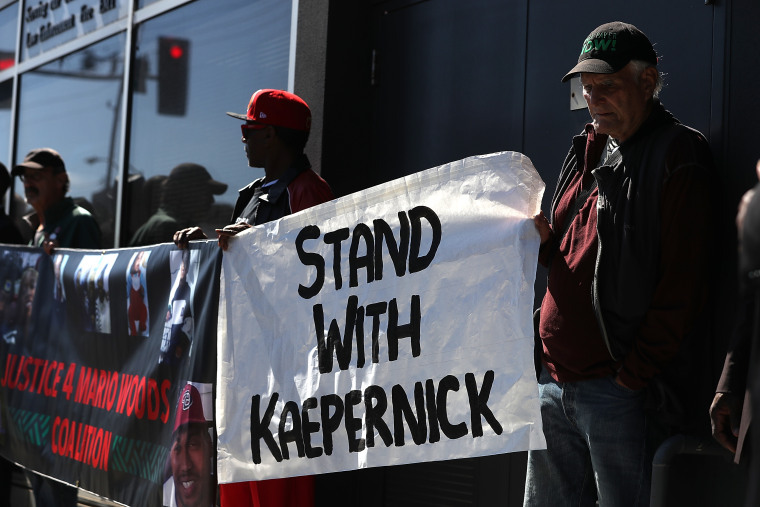 The NFL preseason is underway and Kaepernick is still without a job but some fans are still rooting for the former 49ers quarterback. The name that used to fill up stadiums is now filling a petition calling for the boycott of the National Football League. The petition is a call to inaction: no watching any NFL games, no posting about games or teams on social media, no attending games, and no buying any NFL merchandise until Kaepernick is signed to an NFL team. The petition emphasizes the racial divide that exists within the NFL given that 70 percent of players in the league are African-American. It also asks both the commissioner and owners to stand in solidarity with Kaepernick as he continues to champion various causes. The hashtag, #NoKaepernickNoNFL, ignited a conversation centered around systemic racism that has taken over the twitter world and has caught the attention of some other big names. Most notably, film director Spike Lee, who tweeted that he would be holding a support rally at the NFL’s headquarters in New York City on August 23. The petition has set its goal at 150,000 and has already amassed over 90,000 signatures. Once the petition hits 100,000 signatures it will be delivered to NFL commissioner Roger Goddell and all 32 NFL team owners. Kaepernick’s NFL career has been under the scope ever since he took a knee during the national anthem in a 2016 preseason game. Many people felt it was inappropriate for Kaepernick to kneel as the anthem played while others felt he was justified in doing so after he explained why he did it. It was Kaepernick’s way of protesting the oppression of marginalized communities and the killing of unarmed black people. Despite boasting impressive performance numbers Kaepernick has been unable to land a spot on an NFL roster. "This situation really shines a light on how much the NFL really cares about its Black athletes. It's pretty much: Play for us, entertain us, make us money, and shut up," the petition states in part. Many believe he’s been blackballed by coaches and owners alike for his public stance on social issues. Other notable players including Richard Sherman, Michael Bennett, and Malcolm Jenkins have spoken on Kaepernick’s situation. The former Super Bowl starter may be having trouble finding work on the field but it hasn’t stopped him from doing work off the field. In 2016, Kaepernick pledged to donate $1 million to different organizations working in oppressed communities. And he has made good on his promise donating $100,000 for 10 months to 10 different organizations.